Senior Associate Craig Handler recently participated in a panel discussion held at the Farmingdale State College, State University of New York. The discussion, which was sponsored by the Department of Security Systems & Law Enforcement Technology, addressed the topic of legal careers in the military and law enforcement. 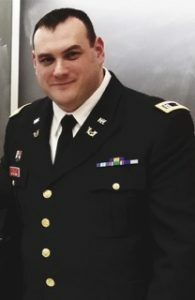 Mr. Handler, who is a Captain in the New York State Army Guard, was on hand to discuss his service as a Judge Advocate and lawyer in a reserve military command. Speakers at the event included a Judge of the NYC Criminal Court, a Judicial Hearing Officer, an Assistant District Attorney and State and City law enforcement personnel.